Have a Bottombumpers diaper with a worn out, stained soaker? You can now replace them with brand new squishy soft Soakers! 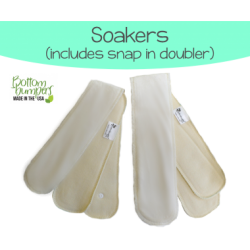 Soaker is made of organic cotton. One size soakers fit the medium and large sized AIOs.